A nomination to Champion racehorse Cracksman will be offered. A charity auction of stallion nominations, including recently retired stars Cracksman and Saxon Warrior, is to be hosted by Tattersalls on the eve of the 2018 December Mare Sale. The proceeds from the auction will go to British racing’s own charity for the welfare of retired racehorses, Retraining of Racehorses (RoR). The champagne reception and auction will be held in the sales ring at Tattersalls, Newmarket on Sunday 2nd December. The event will be compered by Nick Luck and the nine nominations will be auctioned by the Chairman of Tattersalls, Edmond Mahony. Included are nominations to established stallions Oasis Dream, courtesy of Juddmonte Farms, and Nathaniel, who stands at Newsells Park Stud. Both stallions enjoyed notable successes in 2018, the latter being responsible for the Arc and Breeders’ Cup heroine, Enable, while Oasis Dream was represented by the Group One winners Polydream and Pretty Pollyana. The auction also includes nominations to a trio of Group One winners from 2018, three recently retired stallions who will be covering their first books of mares in 2019. 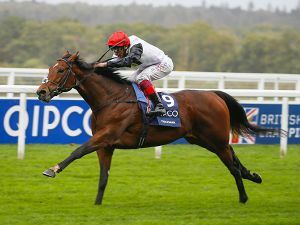 They are headed by the World Champion, Cracksman, officially the highest rated horse in the world, who now stands at Darley’s Dalham Hall Stud in Newmarket. 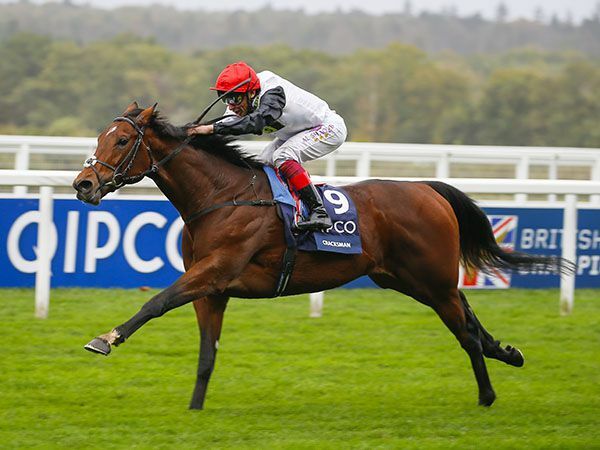 Joining Cracksman are the winners of two of the top mile races run in Europe. Saxon Warrior, who stands at Coolmore, was the impressive winner of the 2018 2000 Guineas (Gr.1), while Lightning Spear won the Sussex Stakes (Gr.1) en route to retiring to stand at Tweenhills, the home of Qatar Racing stallions. Cheveley Park Stud have generously donated nominations to four of their stallions, Garswood, Mayson, Twilight Son and Unfortunately, all of which boast Group One successes on the track and are proving popular with breeders. Di Arbuthnot, Chief Executive of RoR, said: “We are incredibly grateful to the stud farms who have shown their support for the charity by donating nominations to stallions. Thanks to their generosity, the quality of stallions on offer is remarkable and I have no doubt that the nine lots being auctioned will be of great interest to breeders, with the added bonus that their investment goes to a good cause. RoR and Tattersalls would like to thank the following for their generous donations: Cheveley Park Stud, Coolmore, Darley / Godolphin, Juddmonte Farms, Newsells Park Stud and Qatar Racing / Tweenhills. The ultimate goal is to maintain a balance between the number of horses leaving Racing and the number of enthusiastic, and suitable, new homes. For more information visit RoR’s website: www.ror.org.uk.